Writers are a peculiar breed. We are insecure and often struggle with discouragement. Abundant Rain is meant to be a buoy in that tossing sea. 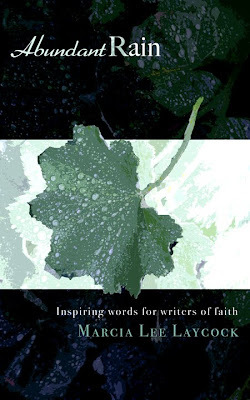 These short pieces will lift you up and keep you afloat and, most important, keep you connected to the source of all our inspiration, The One who has set us on this journey as writers of faith.